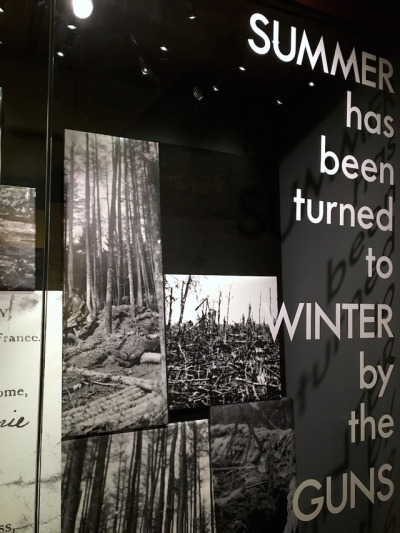 Due to unforeseen circumstances the temporary exhibition will need to be closed. 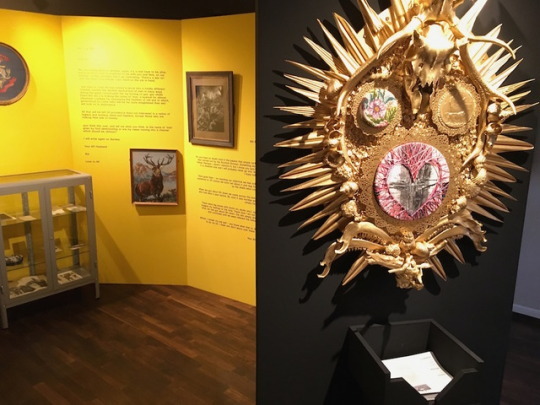 If you wish to see the exhibition, you will be escorted to the exhibition area and out of it. 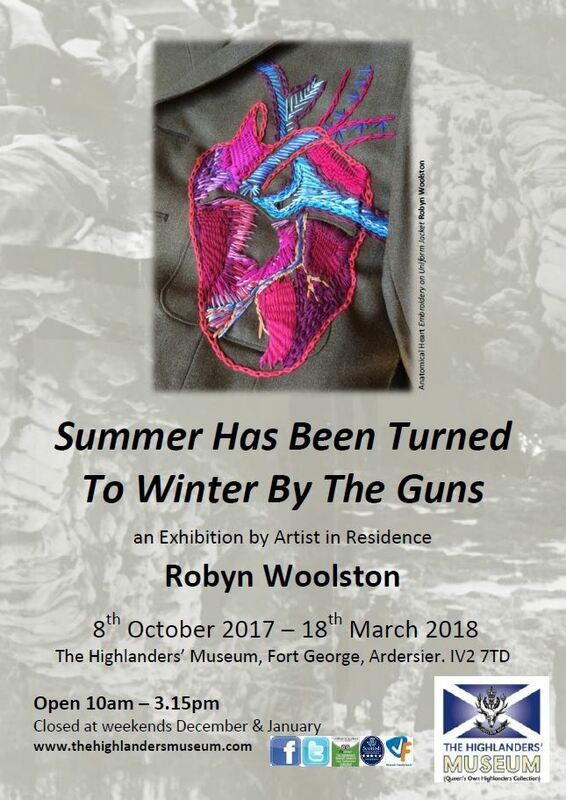 The Highlanders’ Museum (Queen’s Own Highlanders Collection) appointed Feagour based Robyn Woolston as Artist in Residence at the beginning of the year. 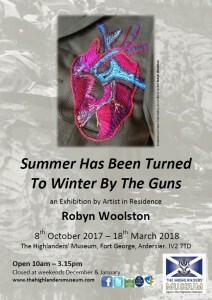 Robyn has been working with our World War One collection of objects, photographs and documents and to produce a thought-provoking exhibition of art work including contributions from Ardersier Primary schoolchildren. The Artist in Residence worked with our First World War archive to bring to life some of the interesting stories and characters which exist in the original letters, diaries and photographs kept by Highland soldiers during the conflict. The project also engaged with local school children, allowing them to learn about the First World War and respond creatively to what they have learned. 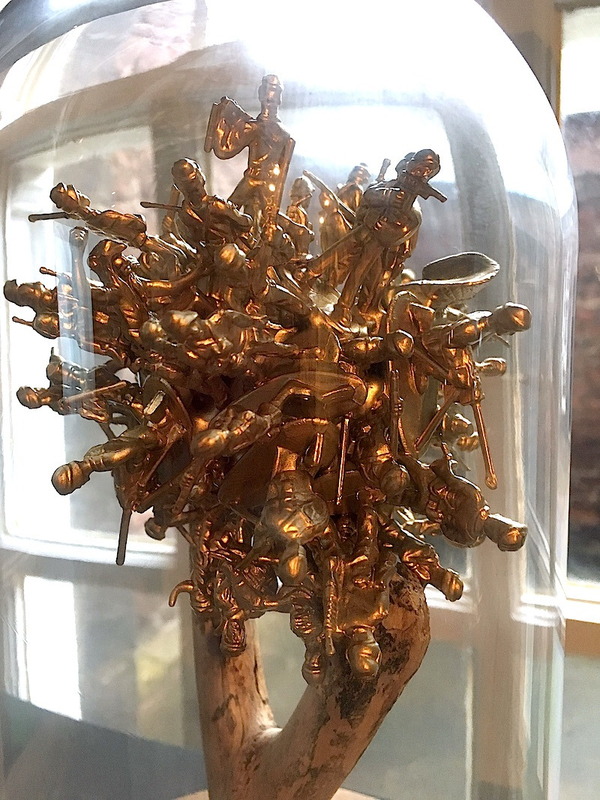 The aim of the Artist in Residence Programme and Exhibition is to help the children and adults to understand what life was like for a Highland soldier on the battlefront during the conflict. Robyn Woolston is a fine artist with a great deal of experience producing artwork, exhibiting, collaborating and working with children and adults from many different backgrounds and in many different settings – most recently as Lead Artist in a series of workshops at The British Motor Museum, Gaydon, Warwickshire, which will be followed by an exhibition.